OPEN HOUSE THIS WEEKEND! SATURDAY 8/18/2018 1-3pm! HUGE Price Improvement and the Seller's have added a brand new privacy fence in the backyard! Come see this gorgeous home before its gone! 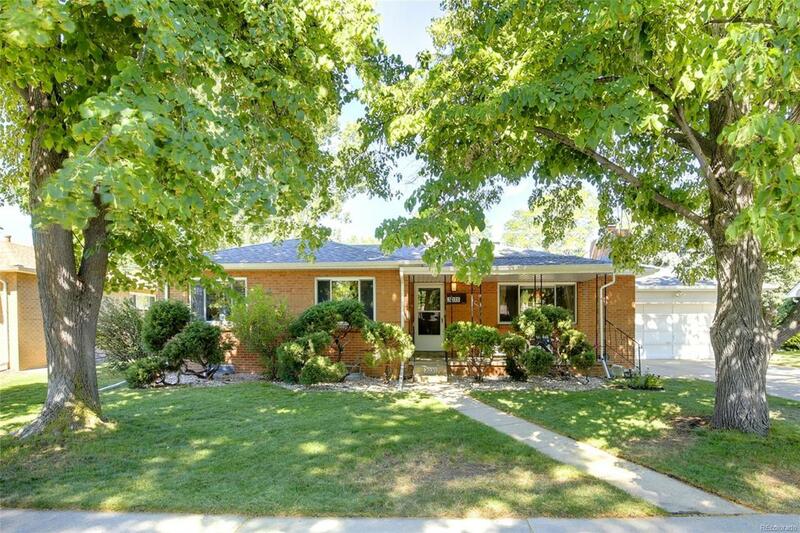 This turnkey ranch home with 3 bedrooms on the main floor has been immaculately cared for and remodeled over the years, with updates throughout. It offers a new roof(2017), newer windows, a remodeled kitchen with quartz countertops, subway tile backsplash, stainless steel appliances, gas stove, remodeled bathrooms, mature trees, a wood burning brick fireplace, a large fenced backyard, a swamp cooler, oak hardwood floors, pocket doors, newer electrical, covered front and back patios, french doors, sprinklers, a large 2 car garage, rough-in plumbing in the basement, and plenty of storage throughout. Located on a quiet, well-kept block, schools are Stevens, Everitt, and Wheat Ridge High School.